Give your business associates a naturally different hospitality day out at your next corporate event. 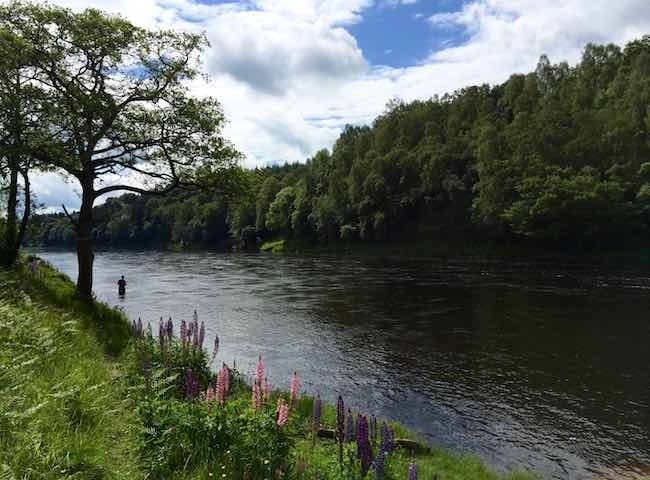 The beautiful River Tay and its salmon provides an excellent & exciting option. Don't take chances on unknown Scottish salmon fishing organisers who have zero track records. Trust your fishing event day to the professionals who have decades of knowledge & top delivery experience. Look at this scene for natural environmental perfection. 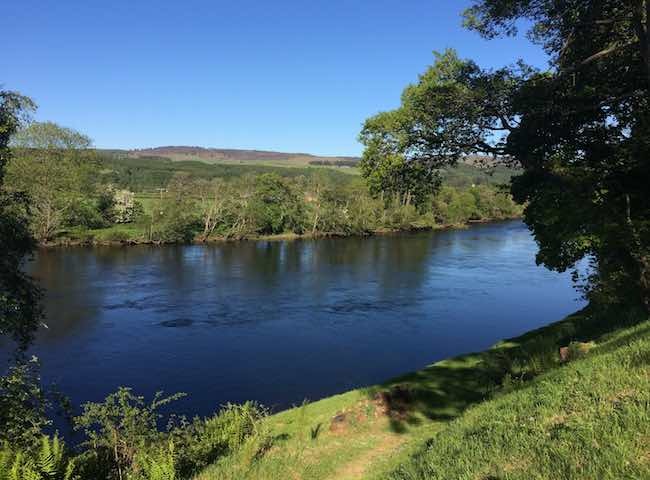 The riverbanks of Scotland provide an ideal solution for your next corporate hospitality event. 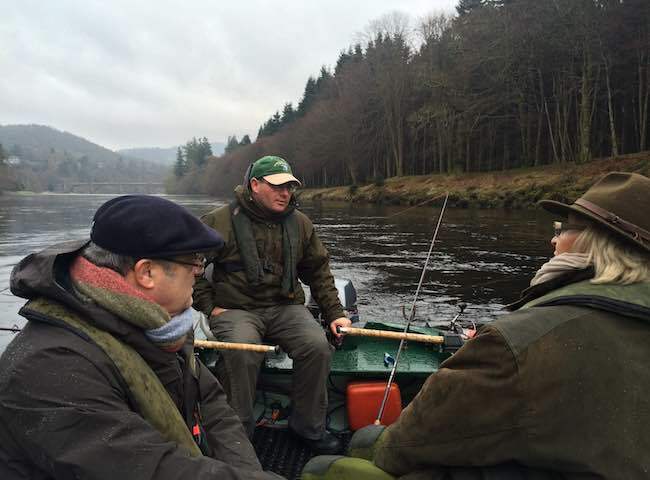 On the River Tay it's tradition to use the boat for all or part of the salmon fishing day. 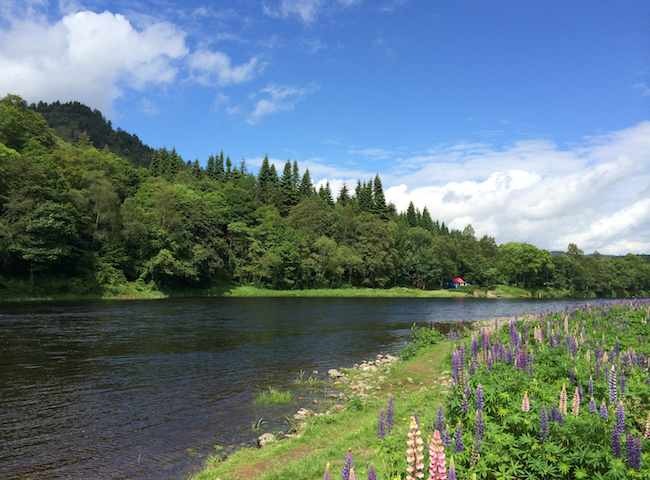 This shot was taken on the Tay near the popular Perthshire town of Dunkeld. 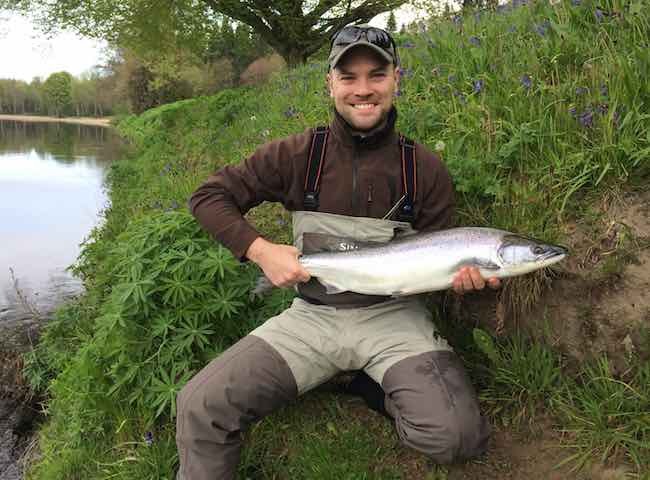 Line up one of these fine River Tay specimen salmon as your next corporate day objective. There's unparalleled excitement involved in the capture of one of these perfect creatures. Treat your business associates to a day in paradise in pursuit of the most iconic gamefish of all. 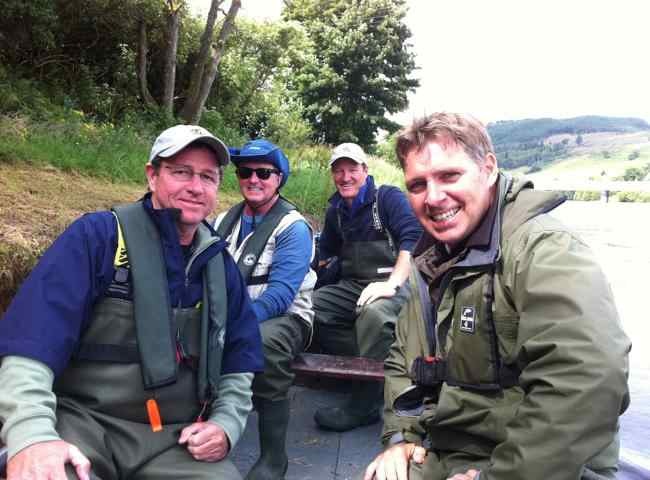 A corporate fishing event on the beautiful River Tay will leave a positive & lasting impression. 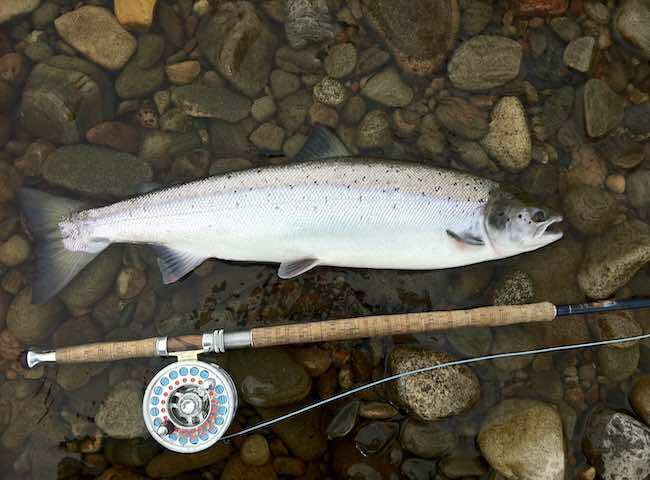 Here's a shot of aquatic perfection from the famous River Tay. A Scottish salmon fishing event day will provide an excellent environment for a great day out with your business associates. 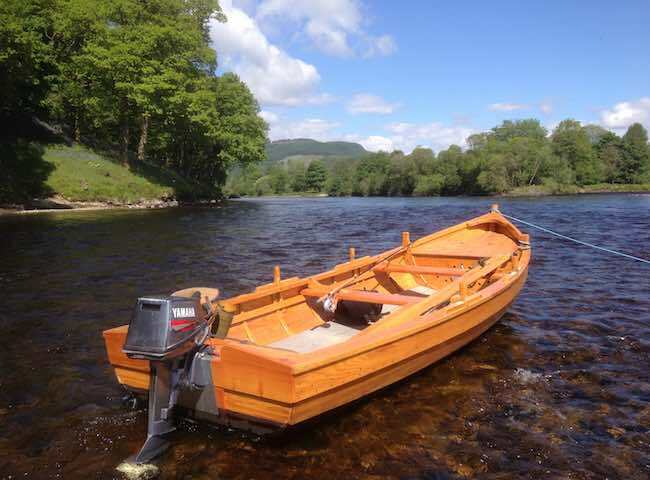 The use of traditional hand built River Tay boats with highly skilled boatmen are included on all salmon fishing event days for those in the party who wish to take it easy. 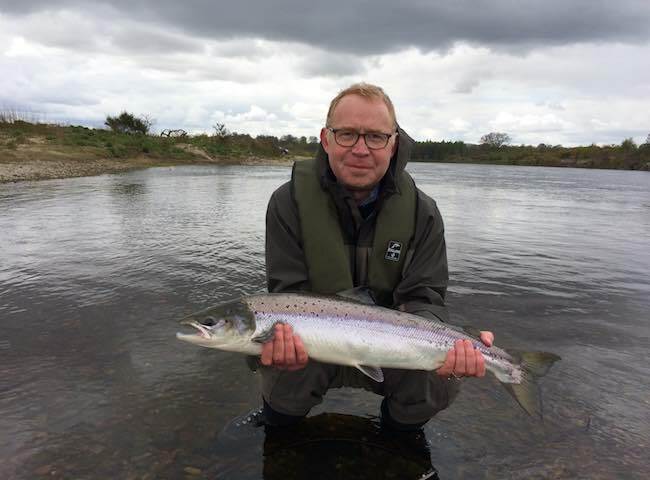 There's a huge thrill involved in the capture of a renowned Scottish Spring salmon. 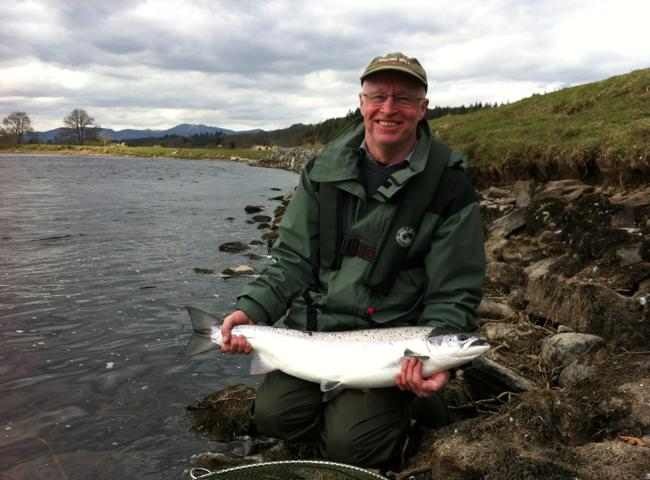 Follow this link for details on how to book salmon fishing guides in Scotland. The mighty River Tay is draped in some of the most fantastic natural riverbank splendour. Treat your business colleagues to a day in this beautiful environment in pursuit of the 'King of Fish'. 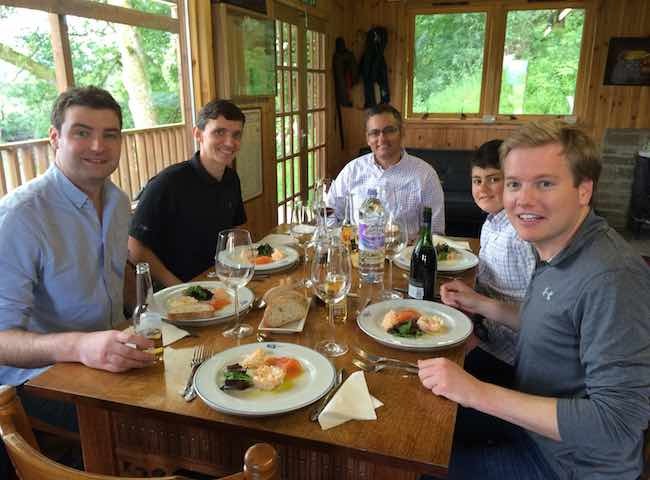 Here's a delighted party of salmon fishing event guests about to enjoy a delicious gourmet lunch in one of our many luxury River Tay salmon fishing huts.